For several years now, folks from the Alzheimer’s Association have partnered with us at DBRL to host informational sessions on Alzheimer’s disease and other dementias. With these events coming up again, I began looking—and I didn’t need to look far— for narratives of those experiencing Alzheimer’s, whether first hand or in a loved one. Case in point, while progressing through “The Sopranos“ as quickly as I can stomach, my favorite character has developed the symptoms between disorientation, muddled memories and straying far from home. With this content all around, I’ve realized how commonly writers draw on their own experiences to take up this heavy subject. 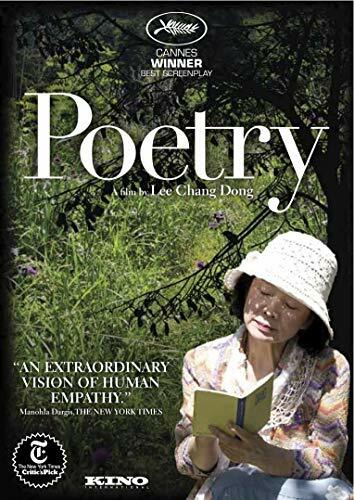 Alzheimer’s looms large over our society, especially as we are living longer in what Ai-jen Poo calls an “elder boom.” It can bring some of our worst fears of impermanence to head, so we may find solace in stories that help us share the load and reckon with this social reality. I kept this question in mind as I looked for material, prioritizing work that created a well-rounded, dignified portrayal of people affected rather than material that characterized one’s disease as some black hole devouring the spark that makes them human. Many of these stories show unexpected ways that certain memories persist; others suggest that losses to the disease can create avenues for growth and understanding elsewhere. From poetry and realistic fiction, to science journalism, personal essays and (my perennial favorite) comics, works about people with these progressively common neurodegenerative illnesses are not only all around us but also grounding and relatable to anyone. Even if you have no personal experience with Alzheimer’s disease, these stories explore universal themes of ageing, the construction of our selves and how interpersonal relationships can anchor us during major life transitions. Paco Roca’s “Wrinkles” and the movie adaptation on Hoopla go beyond memory loss alone to portray Emilio and his peers’ life in a nursing home. While we see residents experience aspects of the disease, like living within long-held memories, we also see them form meaningful relationships and resist institutionalization. I’ve reread this graphic novel several times over, appreciating the author’s clever representation of each resident’s unique perspective with the disease. Like Paco Roca, Alice Munro’s short stories dealing with Alzheimer’s all work against the idea that all is lost to diagnosis. These include “The Bear Came Over the Mountain,” found in the collection “Carried Away“ and adapted into the movie “Away From Her,” “In Sight of the Lake,” published in “Dear Life” and “Dance of the Happy Shades” in “Selected Stories.” Take for instance “The Bear Came Over the Mountain,” in which Fiona’s Alzheimer’s symptoms progress to the point where she decides with her husband Grant that it will be best for her to move into an assisted living home. During the initial transition period, she becomes attached to another man there, understanding him to be her lifelong partner. While difficult at first for Grant to take, this situation allows him to come to terms with his past shortcomings as a husband and begin work to gratify his wife again. Beyond DBRL: The Trebus Project – Read or listen to the stories of people with dementia documented by conversation partners. To close, we hope you’ll join us in Columbia or Fulton over the next month for more practical resources on Alzheimer’s and dementia like learning about risk factors and making sense of the best, current research.